Everyone, with pans and wrinkled (had a sweater or not). Art pullover warms better than dress, coat and brandy! The Valkulture Association in cooperation with Pikto Gallery and Branimir Center organizes Art Pullover, which is far more than just another Advent location. 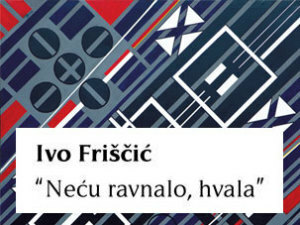 We have literally summed up this idea of spreading good works – at the new Advent location (warm and safe), we gathered more than 50 young Croatian artists from an independent scene that will offer their works at affordable prices under the motto “Art Available to Everyone”. who will present and sell their works at affordable prices. At a large sales exhibition, you can find graphics, watercolors, oil on canvas, sculptures, posters, and unique original prints on shirts, bags, cups, bookmarkers, and even sweaters. “We wanted to make a little different Advent story. Along with the rich program, the emphasis is on the artists we wanted to give a chance to present to the Zagreb audience. By purchasing original gifts in a warm adventurous atmosphere, you can directly support young artists, “said one of the organizers Nela Simić at a press conference held on 24.11.2016. in Branimir center. The whole month of the audience will have the chance to meet the young artists, their work and the challenges they face, while Meet the Artist will have the opportunity to talk about the gallery scene where everyone can participate and comment on art in their own way . 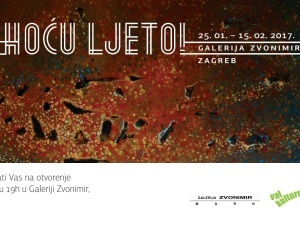 The art fair Art Zagreb will be presented at the program, 20 of the Crtani Romani show will be discussed, and one of the themes will be the art market featured by Martina Miholić and Mia Orsag. In addition to sales exhibitions, Art Pullover prepares and screenwriting a live show every Thursday. Visitors will become observers of artwork performance – they will be able to select design on their own, which will collectively collect the Site (s) print on the T-shirt. 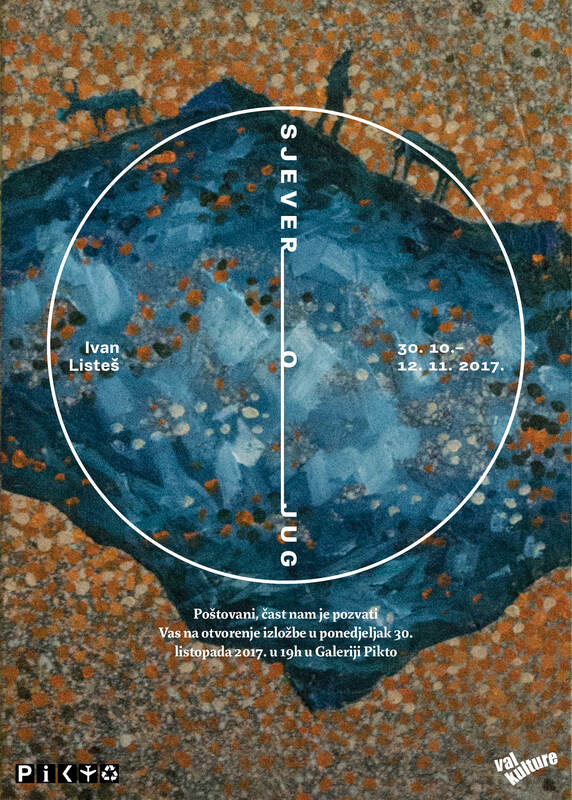 In cooperation with the Croatian producer of Pounja and brand Marka Marija Cvitanović, his works will be presented in such an interesting way by artists Ivan Oštarčević, Mart Tuta, Lav Paripović and Živi strip. In the Evening of Illustrations, the illustrious illustrators Milivoj Ćeran, Ivan Gregov and Dalibor Talajić will present you your work and will discover all the secrets of creating an illustration. Also, your works will be offered at promotional prices. With his acoustic performances, the moon of art will be enriched by the popular Meritas and Jelena Radan, while the Acoustic Weekly program will be performed every Friday night by the local young bands presented at the Cener Radio 101 show. Subotama will take part in the music program for DJs Ineskich, Mala Iv, Peter Posh and Josip Uremović, and a cocktail party will be held in the casino area. The artistic aspect of the program is associated with the dance show ‘Bursa fÃ¨ri’ created by the concept of the author and one of the performers – Dore Kokolj. The Creative Writing Center (CeKaPe) prepares a literary evening where some of our best writers and CeKaPe leaders will talk about the experience of conducting the writing workshops. Along with them, how some of the former and present participants will talk about the other part of the literary process, of which he published his first book in CeKaPe’s First Step Library. After a round table on ‘Creative Writing – a Changing Experience’, CeKaPe will present a writing workshop for children and young people, and workshops on kundalini yoga will be held by Sarab Varta Kaur, KRI certified teacher of kundalini yoga. Art Pullover is also a place for getting to know other world cultures – every Monday there will be Japanese evenings where we are waiting for the origami workshop, sushi tasting, reading haiku rituals and ritual tea drinking. Center Hello Sun offers two workshops led by certified astrology and yoga teacher Senka Ljubić – an astrology and yoga. And if all this Christmas spirit so much goes for you to decide to say “take it”, let go of the rock master Elvis – all in love, curious and brave in Las Vegas style will marry Mario Kovač, famous theater and film director, actor, DJ, showman and the quiz. You are also expected by the fashion show of the winter collection Bubu with love behind which stands the young fashion designer Tara Jurković. At Art Pullover you get hungry and thirsty – holiday homes offer sausages, burgers and other winter food, boiled wine, punch and pile of other finatoes. In addition to the standard winter offer of holiday food and drinks, the popular Small Tavern with Tavana is also participating in Art Pullover, which will offer delicacies from family farms. Among other things, we will present to us the Bakina presents, Etna Lada Association and OPG Marinović. It will be able to taste more types of honey, sweets inspired by the Croatian tradition – mandolins, nuts, figs, sparkles, sparkles, zucchini pumice, as well as corn and barley cakes, tortillas, enchilades, samosa, pumpkin, azuccio and black beans.